Entrepreneurship is a term used in business circles and in Schools of Business. Yet, you will find in Robbins College that entrepreneurship and innovation are central to our success and growth trajectory. We continue to attract some of the best and brightest students in undergraduate and graduate programs, those students who are willing to enter their chosen profession upon graduation with innovative ideas that enhance and move their professions forward. They are serving people, helping improve quality of life and continually answering their calling. It is during their time at Baylor where they are mentored by faculty and staff that perpetuates and accentuates their innovative ideas. Robbins College has approached much of our work through entrepreneurship and innovation. We launched our Doctor of Physical Therapy this year with a record setting enrollment. The hybrid approach with online didactic work and two-week long lab immersions in Dallas and Waco every 9-weeks is one of only two programs in American higher education with this approach. Others are attempting, such as the University of Southern California, to adopt this model. The hybrid approach is an innovative way to meet the national demand for physical therapists while also giving students who simply cannot disrupt their lives to come to a campus, like Baylor, and spend a number of years working on a degree. Our approach to DPT education gives others a chance to extend their career path, support their families and help others. The programs discussed in this newsletter are equally innovative with entrepreneurial faculty willing to look at degree plans differently and expand their influence with non-traditional students. They are changing the lives of these students and therefore changing the lives of others, improving quality of life and changing academic disciplines…all in a day’s work in Robbins College! You will also notice a story about one of our partners, Waco Scottish Rite, that is helping us through a tremendous gift. This one gift, singularly, will impact children for generations to come. I do hope you are enjoying your summer. Baylor’s Robbins College of Health and Human Sciences will partner with 2U to deliver a new online Master of Public Health (MPH) with a specialization in Community Health. The program combines the concepts and professional competencies of both public health and community health and is designed to equip students to lead, administer, and promote public health in a wide variety of local or global health-related settings. The curriculum incorporates a strong practice-based approach and covers key topics including epidemiology, environmental health, biostatistics, health services administration, and behavioral science and health education. 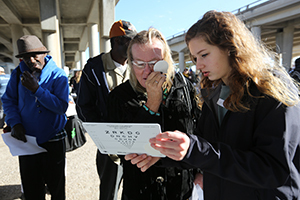 Students will apply the skills and concepts taught online in field practicum experiences in their communities as well as have the opportunity to attend immersions at the Baylor campus for in-person learning and networking with faculty, public health experts and classmates. 2U, Inc. (Nasdaq: TWOU), a global leader in digital education, and Baylor University announced an expansion of their partnership to deliver a new online master of science (MS) in communication sciences and disorders through the department of communication sciences and disorders in Robbins College of Health and Human Sciences at Baylor. The new degree program, Speech@Baylor, represents a new domestic graduate program for 2U and will launch in fall 2019, pending approvals from accreditation organizations. For more information visit www.onlinegrad.baylor.edu. Baylor University’s Robbins College of Health and Human Sciences is launching two new programs — a Post-Professional Doctor of Occupational Therapy (OTD) degree program that will begin in August and an entry-level degree program scheduled to start in January 2021. The programs are aimed at providing an innovative, career-focused education to develop skilled, empathetic health care providers in a field in which doctorate programs are struggling to keep pace with demand. 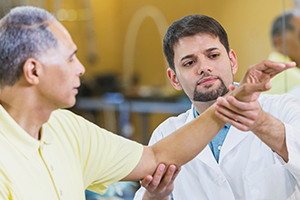 Job growth in occupational therapy is projected to expand by 25 percent over the next 10 years, adding more than 31,000 positions, according to the Bureau of Labor Statistics. 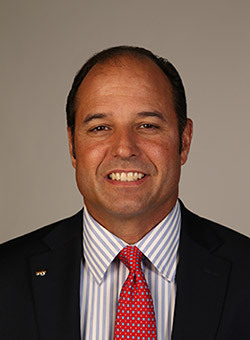 “The profession of occupational therapy is shifting from the master’s degree to an entry level doctoral degree as a means to keep up with the demands for contemporary knowledge in an increasingly complex and specialized health care environment,” said Rodney Bowden, Ph.D., dean of the Robbins College of Health and Human Sciences at Baylor. Baylor will partner with Evidence in Motion, a provider of post-professional educational programs in the physical therapy industry. To keep up with demand in the occupational therapy field, new graduates soon will enter the profession exclusively with a doctoral degree, according to the Accreditation Council for Occupational Therapy Education. The shift to a doctoral level as an entry-level requirement will take place July 1, 2027. The change also is expected to create an incentive among existing occupational therapists to update their knowledge and skill set to a larger scope of practice. “The Baylor Post-Professional OTD program is ideally suited to meet that demand,” Bowden said. Marian Gillard, Ph.D., program director, said that one of the unique benefits of this program is that it is fully online. The program will assist existing occupational therapists in maintaining the most contemporary practice standards consistent with a doctoral-level profession, Gillard said. The new program is part of Baylor’s strategic plan, Illuminate, which calls for greater emphasis on health-related professional programs. It will prepare students for continued professional development in an area of clinical specialization, including teaching in an academic setting. The program is open to therapists with a master’s degree in occupational therapy or a bachelor’s degree in occupational therapy with a master’s degree in a related field. It integrates active learning into an online environment, with the core curriculum designed to bridge the gap between master’s and doctoral-level training and allow students to choose elective content that matches their professional and clinical goals. The curriculum consists of 30 total credits that can be completed in 12 to 36 months. To learn more, visit www.baylor.edu/otd or e-mail OTDAdmissions@baylor.edu. Baylor University today announced a $1.6 million gift from the Waco Scottish Rite Charitable Foundation that will create a permanent endowment for Camp Success, a free intensive summer language and literacy intervention program for children through the department of communication sciences and disorders (CSD) in Baylor’s Robbins College of Health and Human Sciences. The endowment will ensure the continued impact of Camp Success, providing resources for the program, supporting CSD faculty, staff and students as well as the growth of the department’s nationally ranked graduate program and enhancing community outreach to raise awareness about this valuable resource for Central Texas children. It also will provide resources for the annual end-of-camp ceremony, during which children and their families celebrate their tremendous progress and successful completion of the program. “Through the endowment of Camp Success, the Waco Scottish Rite Charitable Foundation desires for all children to be able to read, opening the doors and windows of the world to them; thus allowing them the opportunity to become all they can be,” said Claude Ervin, chairman of the Waco Scottish Rite Charitable Foundation. Camp Success was launched in the summer of 2003, made possible by the generous contributions of both time and resources from members of the Waco Scottish Rite. Since then, the four-week summer camp has been offered annually at no cost to participants. “Waco Scottish Rite has supported Camp Success over the past 15 years, through giving generously of their time and resources to impact the lives of hundreds of children with reading and language disorders. This generous endowment means a permanent continuation of this program. It is truly a blessing to us all. We are thankful to Waco Scottish Rite for this life-changing gift and for the opportunity to continue to serve and transform the lives of children with language and literacy challenges,” said Camp Success director Michaela Ritter, Ed.D., associate professor of communication sciences and disorders and associate dean for undergraduate studies and international experiences in Robbins College. This year, 48 CSD graduate students work alongside department faculty, with support from Baylor CSD undergraduates, to provide evaluation, therapy and pre/post-testing for children ages 5 to 17 with language and literacy disorders that affect vocabulary, word relationships, sentence structure, sound structure, reading, writing and spelling. Camp Success clients receive approximately 50 hours of one-on-one therapy – equivalent to a full year’s worth of intervention in many school districts. The children represent diverse cultural and economic backgrounds and gain admittance to the program based on their comprehensive language and literacy assessment results. 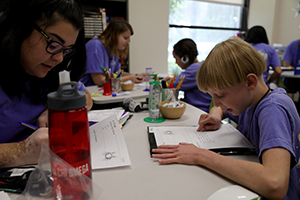 Due to the demonstrated effectiveness of the program and the increasing number of children with communication disorders, Camp Success has continued to grow at a rapid pace – graduating a program-high 84 children in the summer of 2017. This year, 96 children will participate in Camp Success. The Waco Scottish Rite endowment gift follows an anonymous $10 million gift in 2015 that sparked the transformation of the educational experiences of CSD students, including significantly increasing the capacity of the graduate program, expanding service to those with speech-language needs in Texas and positioning the department for national impact as a leader in the field of speech language pathology. 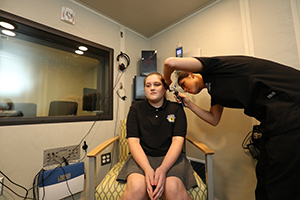 In 2016, the CSD department, its areas of speech language pathology, audiology and deaf education and Camp Success moved into new academic and clinical space in the Hankamer Academic Center and Cashion building. The move allowed for a major expansion of the Baylor Speech and Language Clinic, a professional clinical division of the department, which provides more than 10,000 hours of community service each year to children and adults of all ages. The new academic and clinical space, combined with the Scottish Rite endowment gift, has further ignited excitement about the future growth and impact of the department’s work and its ability to continue to serve the community in the future. The effective treatment of a communication disorder literally can transform a child’s interaction with the world and set them on a new trajectory in life, Ritter said. Children who graduate from Camp Success often leave feeling empowered, capable and enthusiastic about their futures.